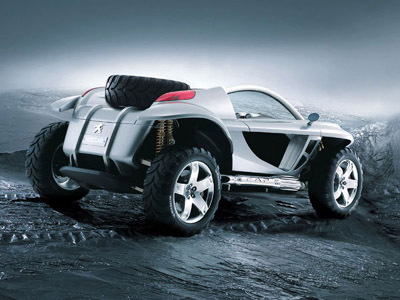 The Peugeot Hoggar is a top-end 4x4 vehicle consisting of a self-supporting carbon bodyshell reinforced with two lengthwise stainless steel roll bars. Consequently, the Hoggar does not have either a roof or side windows: the cabin is largely open, without a roof panel. The Hoggar has two powerplants with a sequential gearbox controlled using a lever or controls fitted to the steering wheel. The Hoggar is however capable of running on just one of its two motors. 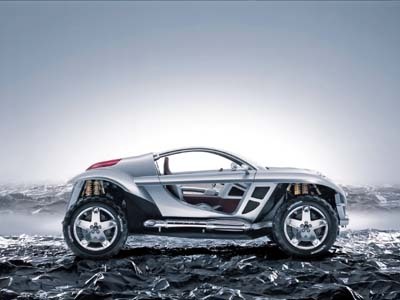 Everything in the Hoggar concept is interlinked electronically: there is no mechanical link between the front and rear. 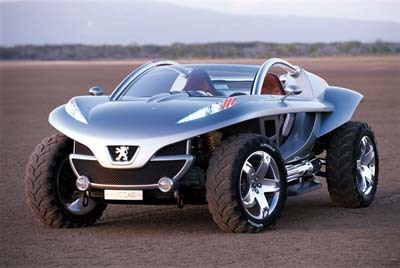 The Hoggar, which was designed to cross extreme obstacles, has highly-developed suspension for this purpose, incorporating 2 shock-absorbers per wheel. The Hoggar's restrained interior combines technology and elegance. In an environment which mixes the refinement of brown leather and aluminium, the Hoggar seats 2 people, who can use the hi-tech equipment via a central console with a touch screen.